Our insider lists places where you will find one-of-a-kind products and uncompromising service. Håvard Schei is the man behind the book Mitt Oslo (My Oslo), an homage and a guide to the alternative scene, in a city that is basically quite offbeat. “Many of us are fed up with generic shops that can be found in any city. We embrace small, independent places run by true enthusiasts. This is what creates the city culture”, states Schei. “Our aim with the Mitt Oslo project is to highlight the dedicated and hard-working people who make it great to live here”. Areas like Gamlebyen, Grønland, Markveien, Torshov and Torggata have recently developed into 24-hour feasts. Håvard Schei recommends the following one-of-a-kind joints for an offbeat Oslo experience. 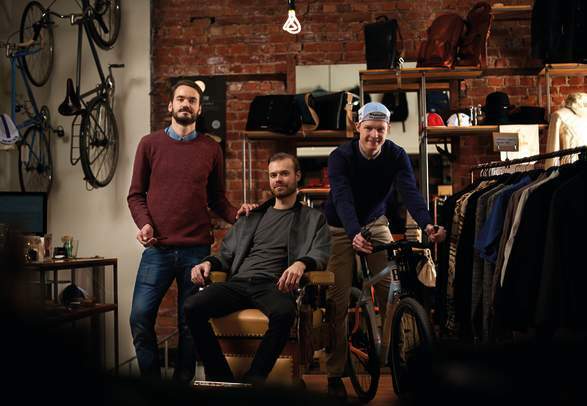 A cyclist-oriented shop offering city ride equipment and clothes. Handpicked furniture and design objects signed by both up-and-coming and established Scandinavian designers. A cult shop and museum for heavy metal. Fans come from all around the world only to visit this place. A shop specialising in Americana and other curiosities. A less genre specific record shop and music café, and the country’s biggest market for vintage records. A permanent flea market where you can find all elements of Norwegian daily life from the past hundred years. A gay-oriented hair salon, coffee bar, and adult shop. A little piece of Brazil on a square filled with numerous cafés and restaurants that are increasingly popular night-time hang-outs. Small Italian eatery and food shop located next door to the popular pizza restaurant Villa Paradiso. Buy freshly caught and cooked shrimps and enjoy it right there, on the huge square in front of Oslo City Hall. Proud chefs who are widely respected for their simple, locally prepared seafood. This highly charming restaurant is situated on a tiny island. A boat will pick you up at the mainland. A popular local hang-out and eatery that has developed into a sort of a cultural hub, with both planned and spontaneous musical surprises. This tiny but high quality cheese shop and eatery is squeezed in between popular bars in the Grünerløkka area. Nostalgic café where everything you sit on and see of vintage, desirable objects are for sale. Dapper is a cyclist-oriented parlour offering clothing and other city ride equipment. Its closely connected to the next door Krankenhaus, a chic vendor of the iconic Brompton folding bike. A workshop community and outlet, Embla is also a supplier of ceramic crockery to, among others, Oslo’s three-star restaurant Maaemo. You can observe the working ceramists through the window at street level, before pulling the entrance door. Ruth is an old-school Norwegian female first name and Route 66 is a legendary American road stretch. Hege Nylund runs this shop specialising in Americana and other curiosities. Norway’s major permanent flea market. Here you will find all elements from Norwegian daily life of the past hundred years. A cheap and joyful alternative to the usual tourist souvenirs. A shop with the oldest trends in nature: Fossils, minerals, meteorites, insects, explorer outfits and other conversations pieces. The creator of this universe, Rune Frøyland, shares his passion and knowledge of nature, environment and science. While you’re here, you might as well spend the rest of the afternoon visiting the relevant, nearby Museum of Natural History and Oslo Botanical Garden. A truly weird place, a kind of battle supply supermarket, with an unmatched mix of Viking outfits, film effects, uniforms, knives, sabres, masks, armour and almost everything else you never knew you needed. A playground for adults who are into all kinds of vintage relics. A less genre specific record shop and music café alternative is Råkk & Rålls Brukthandel, the country’s biggest market for vintage records. A cult shop for heavy metal that is also a museum. Fans come to Oslo from afar only to visit this joint with a name that in English means nosebleed. Proud chefs who are widely respected for their simple, locally prepared seafood. Cheap and cheerful in a city area that is increasingly popular amongst hipsters and the rest of us. Memory lane-friendly café where everything you sit on and see of vintage, desirable objects are for sale. 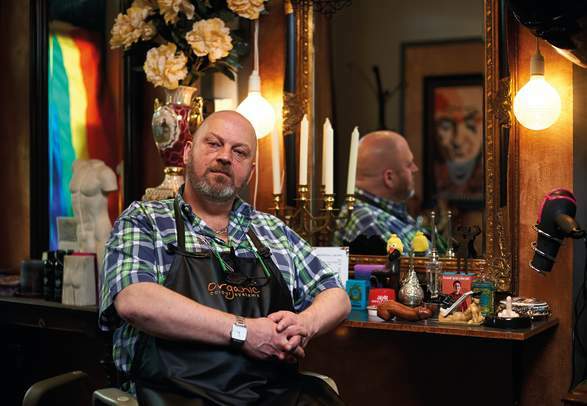 This gay-oriented hair salon is a local landmark that also houses a coffee bar, plus an adult shop in the basement. This tiny, but high-quality cheese shop and eatery is squeezed in between popular bars in the Grünerløkka area. The proof that Norwegian cheese is now much more than the traditional brunost. Small, wooden outlets selling sausages have long been a typical Norwegian phenomenon, but with new food trends moving in, few of these remain inside the city of Oslo. The red-painted Syverkiosken is considered the only one still evolving around this culture. It subsequently enjoys credibility for the quality of its services. The many loyal customers vary from the man in the street to notabilities. Apart from a myriad of choices in ketchup and mustard, one of their specialities is a shotgun, a double barrelled sausage wrapped in white bread. A cosy neighbourhood establishment that attracts followers from all over the city. The location on a quiet corner gives room for spontaneous musical events. This espresso bar, coffee roaster and bean community spins around its creator and owner. Tim Wendelboe is considered an international guru in the field of squeezing the best out of every bean. This highly charming restaurant is situated on a tiny island. Since 1929 food has been served continuously in this building that formerly serviced ship crews queuing to unload and load in the Oslo harbour. The menu mainly consists of fresh seafood with very good reviews. Barstool-based eatery in this Italian food shop, located next door to the popular pizza restaurant Villa Paradiso, which is also among entrepreneur Jan Vardøen’s numerous places. Located just a side-kick from the main street in eastern Oslo’s most frequented area, Grünerløkka. A concert joint and a local hang-out that has a strong international touch with the help of notable artist who come to perform here. Idyllic location by the river of Akerselva that separates the west of Oslo from the east. Japanese journalist Asaki Abumi has been living in Oslo for more than ten years where she writes articles for Japanese media about the Norwegian way of life. Her day in the capital of Norway will be busy, but fun. Let’s go! Oslo is officially The European Green Capital of 2019. Three people living the green dream in Oslo have handpicked ten examples of the city’s numerous nature-based discoveries. Ten open-minded, but rather picky social media active people from all over the world flew in to check out what Oslove is all about. They got help from locals with insider vibes. Booming Oslo is boosting a variety of accommodation alternatives, from cheap and cheerful places to sassy suites and designer hotels. From three-star Michelin and Nordic cuisine phenomenon Maaemo to street food on the corner. Oslo offers a vast range of vibrant restaurants, cafés, and bars. From festivals and cultural events to outdoor activities and sport arrangements – find the best things to see and do in Oslo. A stay in Oslo doesn’t have to cost a fortune. In fact there is a lot you can do for free in the Norwegian capital. Want to travel to a city without crowds and with one foot in the fjord and one in the forest? To enjoy car-free streets, eco-friendly gourmet restaurants, and lots of inspiring fun? Welcome to Oslo, this year’s European Green Capital. The downtown waterfront area in Oslo is reborn as a neighbourhood blending museums, restaurants and chic urban living.